Today, drawers and chests of drawers make a difference in a kitchen piece of furniture: scarce convenience and difficult accessibility are now a distant memory. Thanks to the smart accessories for the internal organization of the ArciTech by Hettich drawer system, space and tidiness are guaranteed. 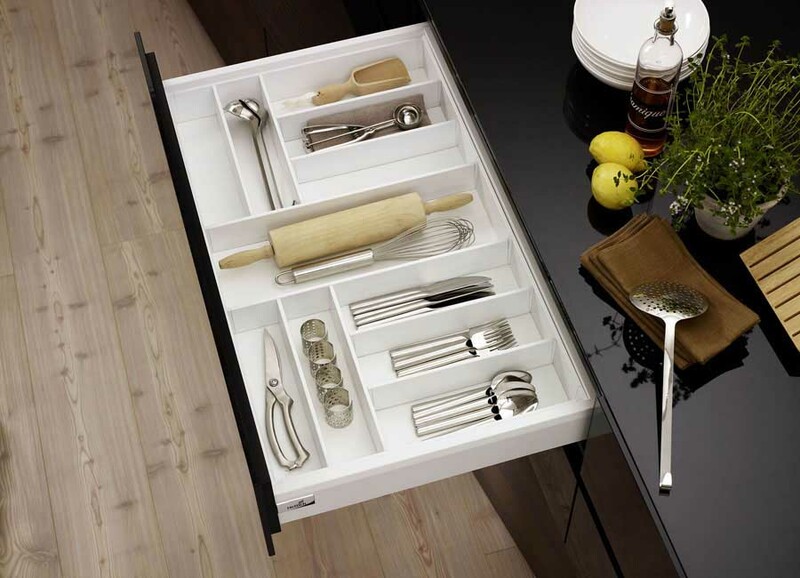 The internal organization of an ArciTech drawer, in effect, allows kitchen furniture manufacturers to meet the wishes of many consumers with the right solutions for each segment: the cutlery tray, for example, can be made of plastic, flexible and easy to clean, or in a fine combination of wood and steel or stainless steel. And the aesthetic effect behind the front panel does not go unnoticed. 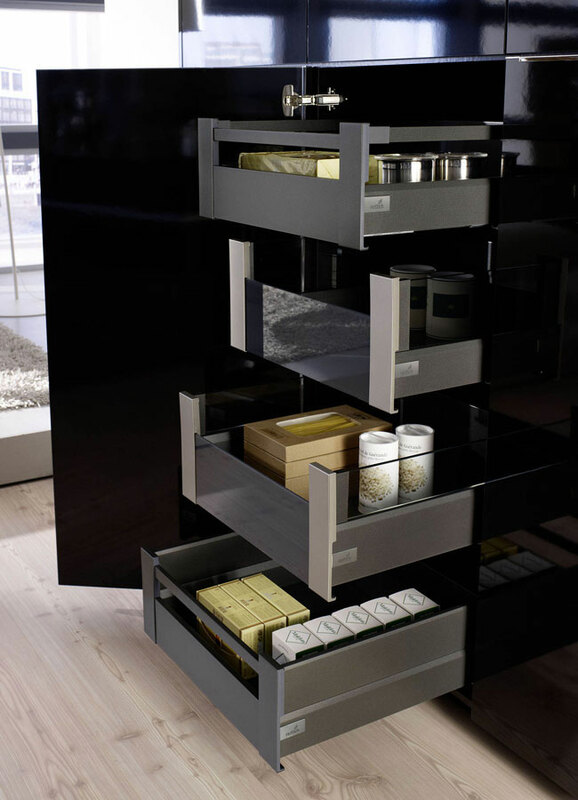 The internal organization becomes, then, an interesting differentiator for retailers of kitchens and provides added value. The OrgaTray cutlery trays made of steel and stainless steel are delivered pre-assembled and can be easily added to the order, like the plastic ones. Furthermore, the possibility to be combined with elements in oak, cuttable according to customers’ needs, makes them applicable in drawers of different widths. 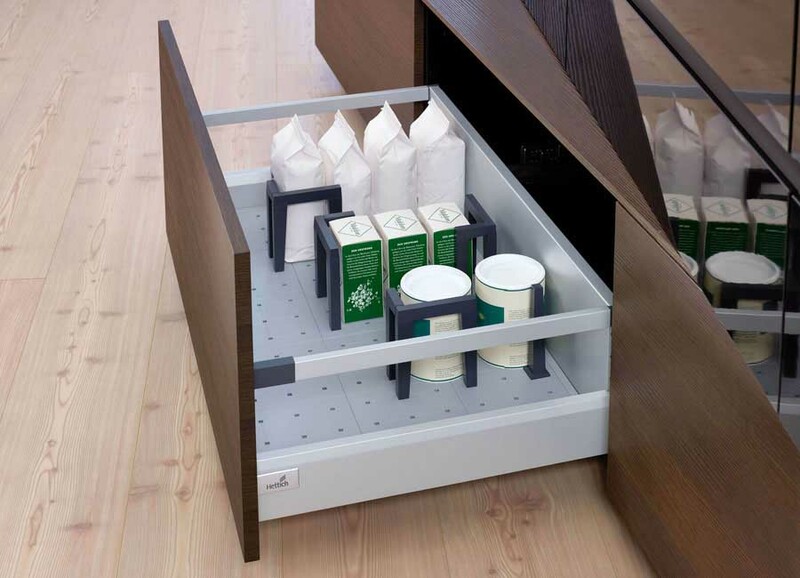 The OrgaStore solutions guarantee order and optimum utilization of space in the drawers. The separation elements, positioned as desired, ensure dishes and food a safe support. Modern and minimalist, with a finish which reflects that of the drawer, or classic, in valuable oiled oak, interior accessories fit any style of furniture. 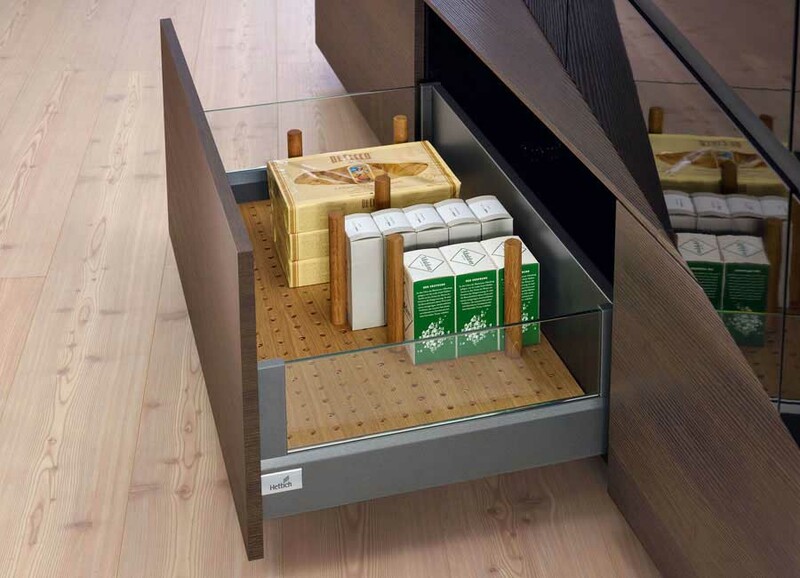 In the chests of drawers, the ArciTech system allows kitchen manufacturers to replace with great ease a railing with steel Topside or glass DesignSide, using the pre-drilled holes: thanks to the the smart platform concept all components remain unchanged as well. This allows to meet the individual preferences of consumers at low prices and and to differentiate programs easily.